Statewide estimates from the National Weather Service indicate the first four months of this year have been the fifth wettest since 1895 and the wettest since 1997. So far this year estimates show the state has gotten 11.5 inches of precipitation, or about 160 percent of the normal 7.1 inches. March and April each provided 200 percent of the state’s normal rainfall. But the drought isn’t over. Nearly 16 percent of the state is in the top three driest categories according to U.S. Drought Monitor Map. Two percent of the state – including Palo Pinto County north to Wichita County and west into Childress County remain in the Driest, or Exceptional category. The seven reservoirs serving Dallas County, lake levels are up nearly 30 percent from three months ago, at 94 percent full. Fort Worth’s seven reservoirs were almost 82 percent full, up from 63 percent three months ago. Houston, Corpus Christi and Midland have received good precipitation. The Edwards Aquifer, which serves San Antonio and much of the Hill Country has risen nearly 20 feet since Jan. 1. 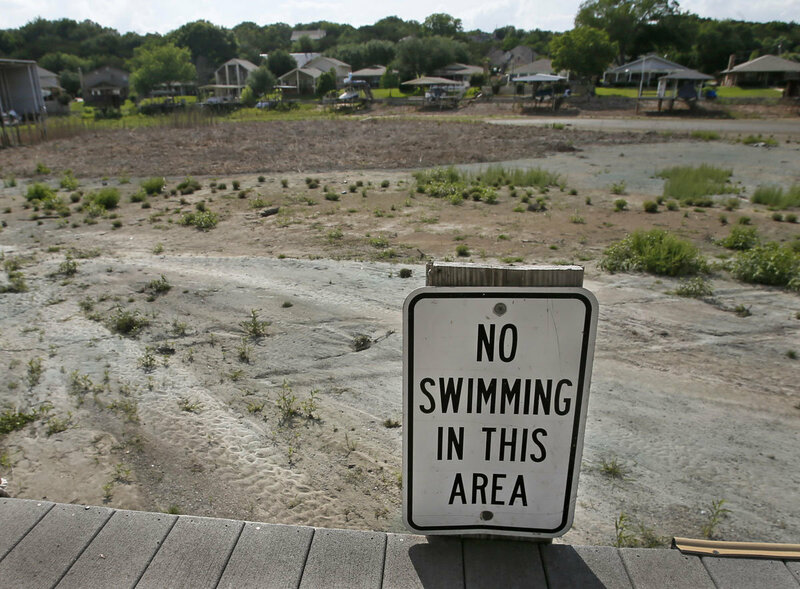 The one area where lake levels remain low is around Austin, where Lake Travis and Lake Buchanan where 38 percent full.